For more than two centuries, ingenuity and generosity have driven our country’s greatest philanthropic achievements and become part of the fabric of American life. Building American Prairie Reserve presents a new model of working toward the common good, bringing together the leaders of today to create a lasting legacy for all people to enjoy and treasure. President Theodore Roosevelt – an author, sportsman, adventurer, cowboy, soldier, naturalist, and father – lived boldly and inspired his peers and everyday Americans to honor our natural heritage as a common good for the benefit of the people and generations to come. Within his legacy of working to create our National Parks, Monuments, and Wildlife Refuges live the seeds of American Prairie Reserve. The Common Good Society recognizes supporters that make a commitment of $10,000 and provide a stable source of funding to acquire new habitat and manage the Reserve. Joining the Society translates to opportunities for minivans full of families, friends around campfires, and kids on school buses to become modern day explorers, scientists in a living laboratory, and historians of land and culture. Contact Crystal Beaty by email or phone (406-585-4600 ext. 774) to learn more about joining the Common Good Society and the benefits and acknowledgement associated with membership. 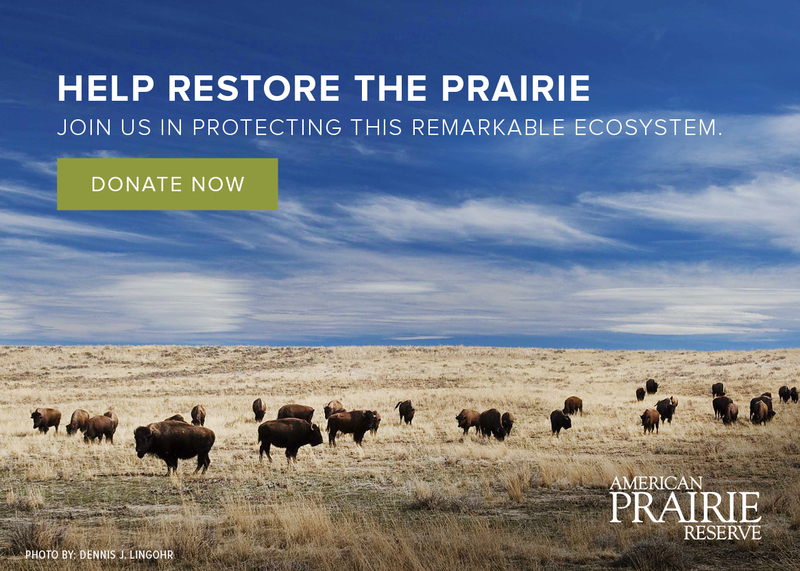 The Common Good Society is a program of Land of Legacy, our campaign to engage an extraordinary coalition of supporters to accelerate the building of American Prairie Reserve, a refuge for people and wildlife preserved forever as part of America’s heritage.